I’ve decided–after about 2 years of neglecting this blog–that I need to refocus. I had intended this space as a sort of journal of my sewing adventures, both in modern clothing and historical costuming. But time is limited, and I spend most of it actually sewing, rather than photographing progress and finished projects and writing about them for a blog. I want to record my work. I want to have a place where I can keep my thoughts and ideas about specific projects for future reference. And my head ain’t cutting it anymore. Neither are the bajillions of sticky notes and notepad papers I have stuck on every surface and pinned to my sewing room walls and inserted into pattern envelopes. So I’ve come to a decision. 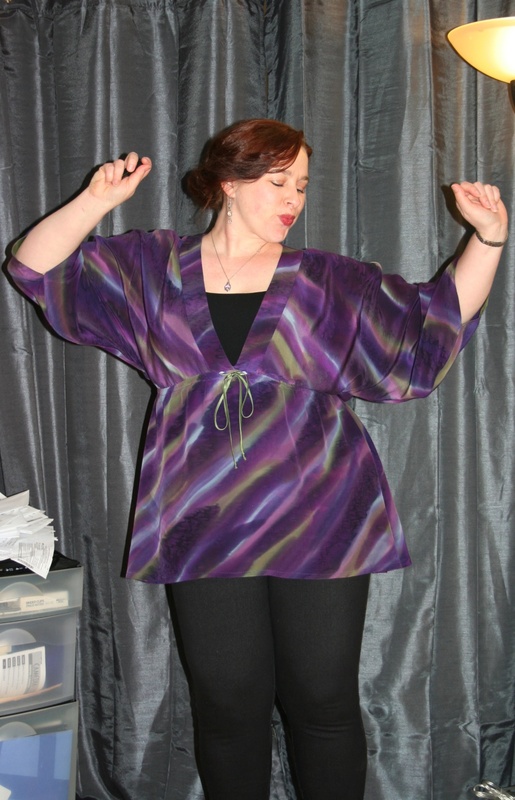 I will blog about my sewing projects–when I feel like it. But I need to separate modern from historical. From now on, this blog–renamed Needle Thread Fabric–will be the place where I record my successful modern sewing projects: the blouses and skirts and dresses and jackets and pants, etc. that I plan to sew for my real life, my non-costumed life. I have set up another blog–Belle Mode, Belle Histoire–to record my historical costuming projects. Both organization-wise and stylistically, this separation makes sense to me. Also it will make it easier for anyone else who wants to view my projects to find what they’re looking for without a lot of other stuff they’re not interested in. My goal in 2015 is to try and post once a month about a modern garment I’ve sewn. The historical blog will get posts whenever I happen to finish a project, which tends to be less frequent than monthly. To start things off, I’ll be posting a retrospective this January about all the modern garments I’ve made in 2014. It’s not a lot, and some have been disappointments, and a few are being remade for better fit, but it’s a good place to start.